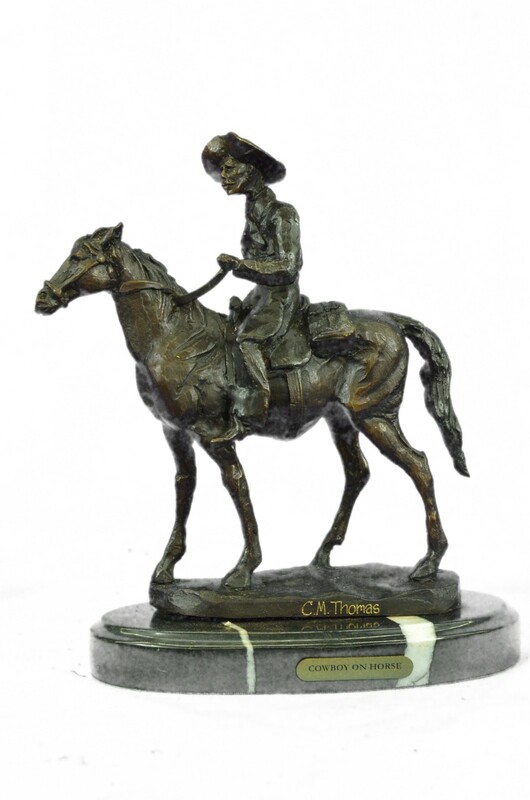 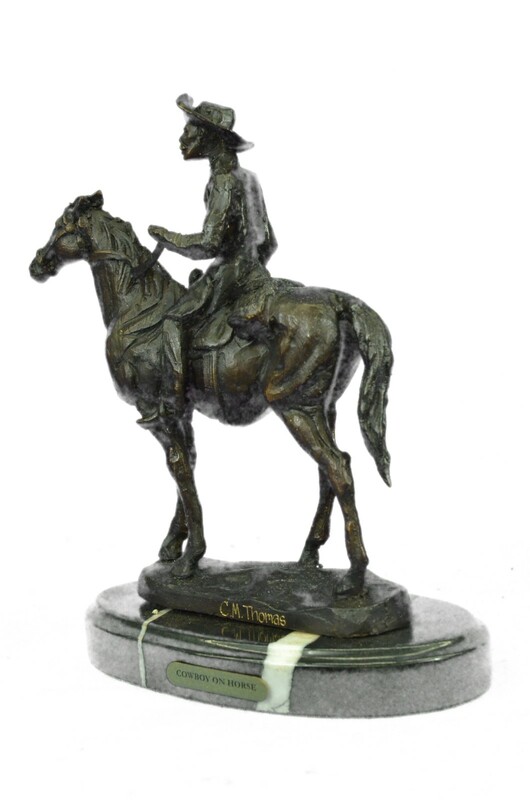 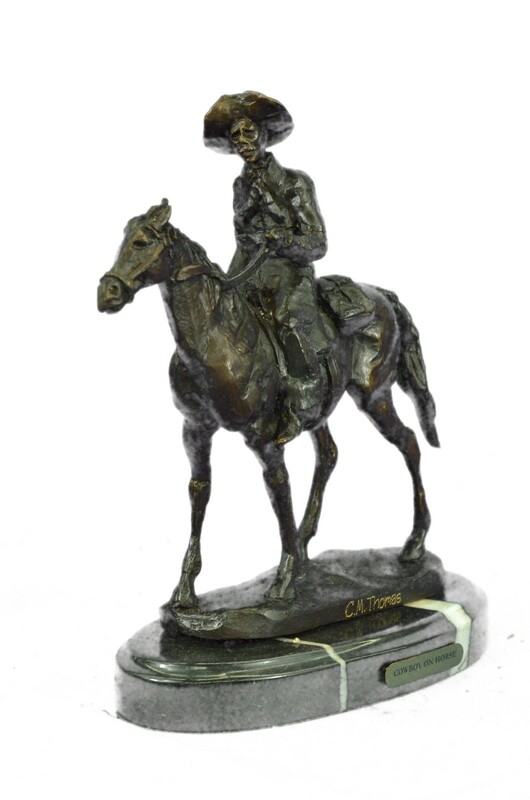 American Handmade Bronze Sculpture Statue Will Rogers By C.M.Russell. 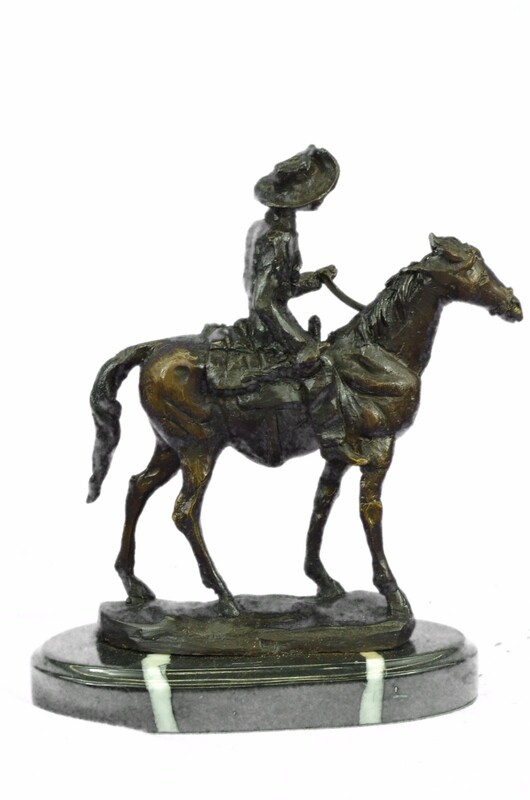 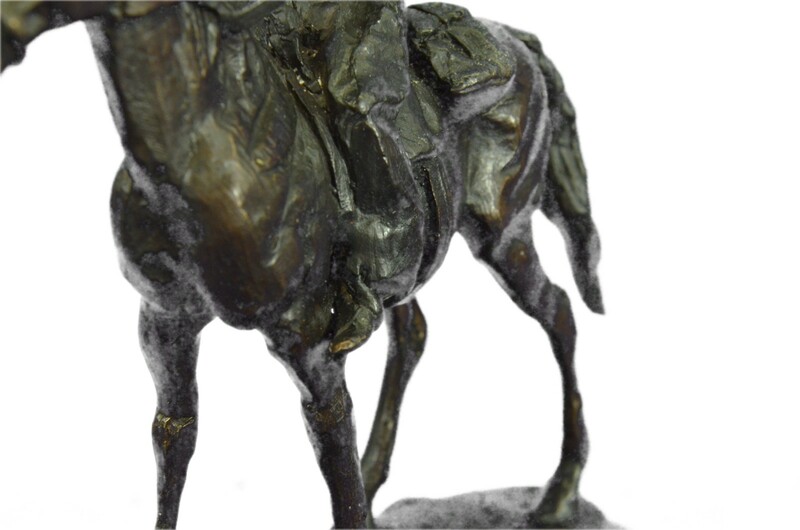 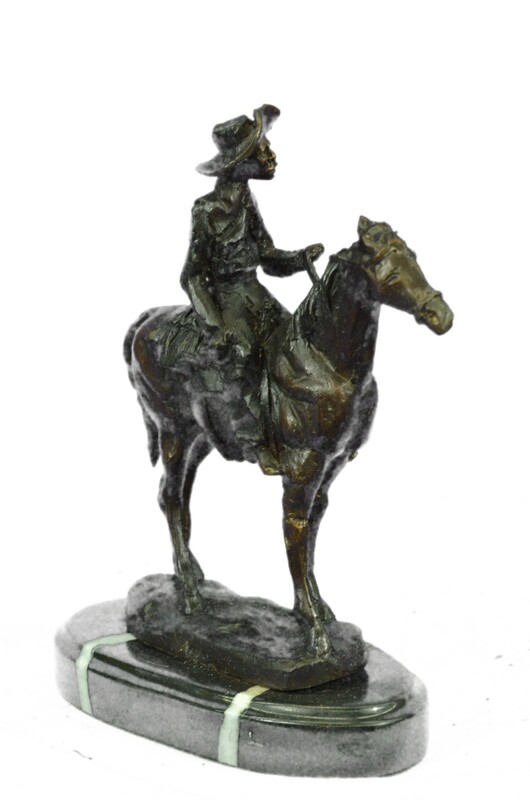 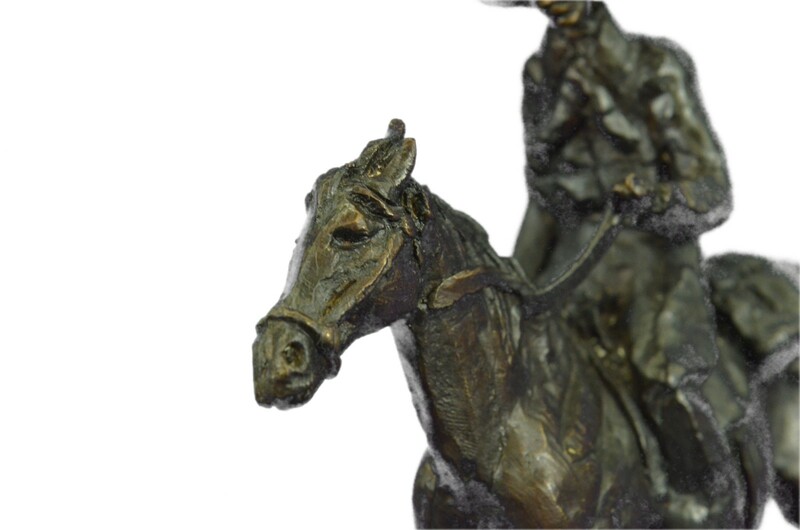 This American Bronze Sculpture Is Handmade And Cast In The Traditional Lost Wax Casting Insures A Quality Bronze Sculpture That Might Be Passes Down From Generation To Generation. 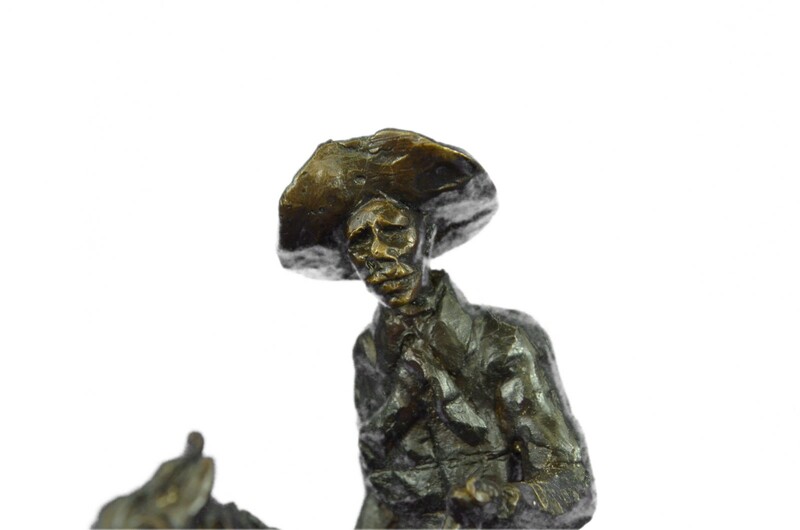 Will Roger Statue Is A Great American Classic.Whether You Are Purchasing This As A Gift Or For Home/Office Decor It Is Sure To Be A Favorite. 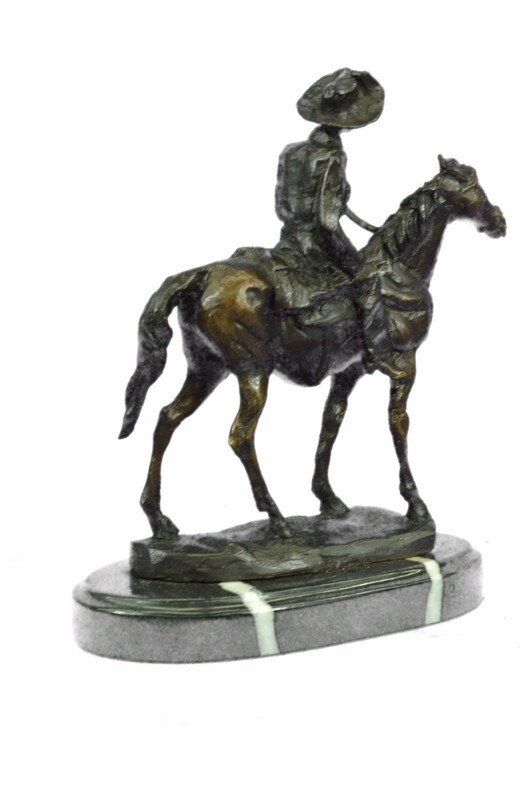 The Beautiful Solid Marble Features A Plate With The Name Of The Artist And The Statue Engraved On It.